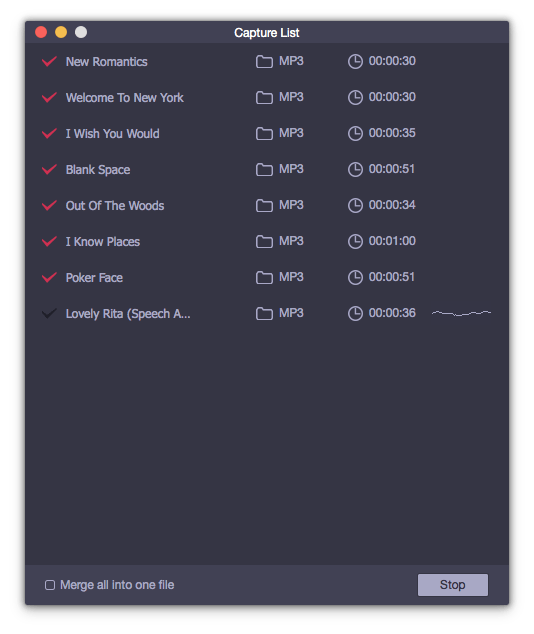 Record Streaming Audios on Mac/Windows Losslessly? Solved! What's the way you used to get streaming music for offline listening, ripping streaming audios to CDs or downloading audio files directly to your computer? Don't miss that there is another recommended solution for you to listen to streaming audios offline, which is to simply record streaming audio from any music streaming service or website, like Apple Music, Pandora, Spotify, Tidal, Deezer, etc. When it comes to recording streaming music, it simply means using audio recording technology to grab playing all audio tracks via the sound card on your computer. In order to record streaming audio files effortlessly along with great listening experience, in this article, we will show you the step-by-step tutorial on how to record any streaming audio with high quality preserved on Mac and Windows. Basically, there are multiple streaming audio recording programs that are specialized in capturing any sound that your computer’s soundcard outputs, such as streaming audios, in-game sound, background music from videos, online radio, etc. Moreover, there are so many free audio recording tools you can use. However, free software always comes with some unexpected limits. The most important point is that it comes with poor output audio quality. 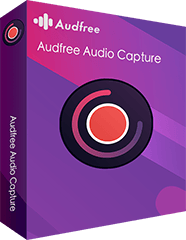 Under the circumstance, we highly recommend the full-featured yet easy-to-use streaming audio software, called AudFree Audio Capture, for you to record any audio from any source on the web. 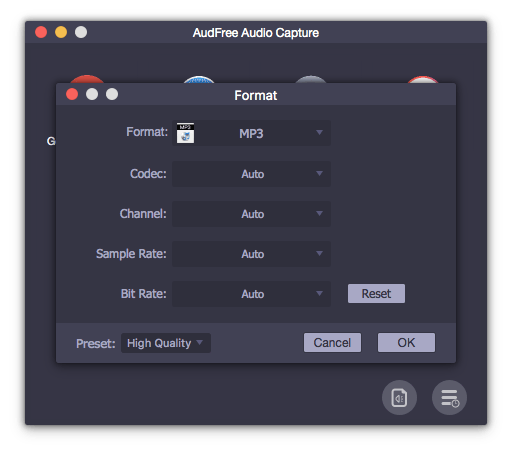 No matter you would like recording streaming audio on Mac or Windows 10, AudFree Streaming Audio Recorder can meet your own needs, since this streaming audio app is available for both Windows and Mac operating system. With built-in advanced and innovative audio recording technology, it can not only capture any streaming music online with near lossless output audio quality, but also record and save all audio records to common audio formats, like MP3, WAV, FLAC, AAC, M4A, etc. Plus, this intelligent multi-track audio grabber has the ability of recording multi streaming audio tracks from difference sources simultaneously and dividing them into independent tracks intelligently. 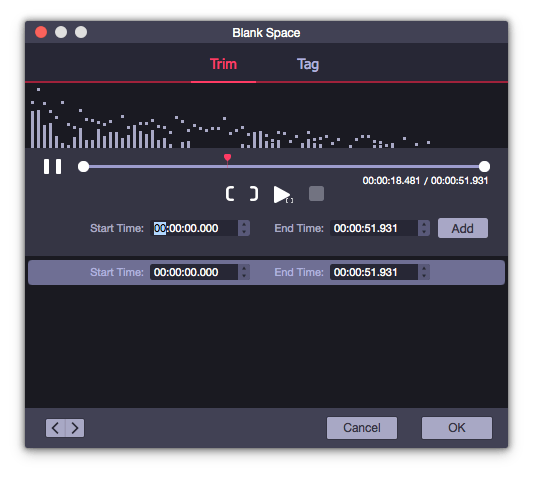 Thanks to this real-time audio recording software, this is extremely easy! Convert recorded audios to MP3, AAC, WAV, FLAC, M4A, etc. 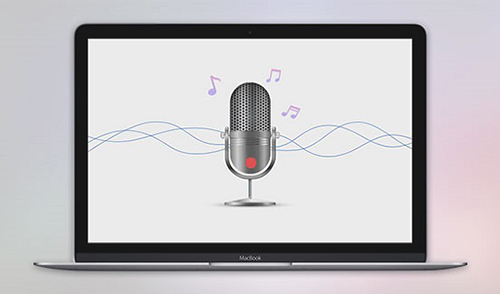 Now, we will take Mac version of AudFree audio recording app as example to show you the complete guide on how to recording online audio tracks on your Mac in seconds. If you would like streaming audio on Windows 10, please download and install AudFree Audio Capture for Windows on your PC. Please be well noted that you can download the free trial version to test its performance before purchasing this tool. 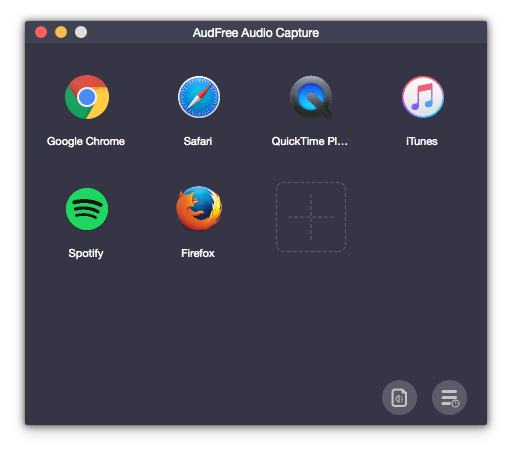 When you open AudFree Audio Capture for Mac from the computer desktop, you will see there is a list of downloaded programs on your computer, like Chrome, Safari, QuickTime, iTunes, etc. Now, the thing you need to do is to check whether wanted program that you record audio from is in the list. If not, you can add that software by clicking the '+' button directly. Before starting to the recording process, you can customize the output settings by clicking the 'audio' icon at the bottom-right corner of the main interface. In the 'Format' menu, you can define output format as MP3, FLAC, WAV, AAC, M4A and M4B. Also, you are allowed to personalize other capture parameters, like bit rate, audio codec, sample bite and channel. Please slightly click the target program from the list and begin to discover and play favorite streaming music. At the same time, AudFree will pop up a new recording window automatically to record playing streaming audios that you'd like to capture. By the way, AudFree can capture multi audio tracks, so you can play all online audio tracks simultaneously. There is a 'edit' icon at each of recorded music tracks. You can touch this icon to have a real-time preview. It allows you to split and cut unwanted audio recording and mix all tracks into a large file via 'Merge all into one file' option. To stop the capturing process, you just need to quit the whole program where you play the streaming music or stop playing audio tracks. After that, you can freely listen to streaming music offline on any device without limit. With the popularity of live streaming services, many music lovers have changed the way of enjoying music entertainment from listening to CDs to streaming music. There is no doubt that AudFree Audio Capture is the wonderful partner for you to play streaming audio files anywhere, since it is able to record any sound from any music streaming website without almost lossless qualify kept and save recorded streaming audios to popular audio formats so that everyone can listen to all streaming music on all portable devices and music players. Which way you are using to listen to streaming music offline? Do you have better suggestion? Share with us in the comments as below.